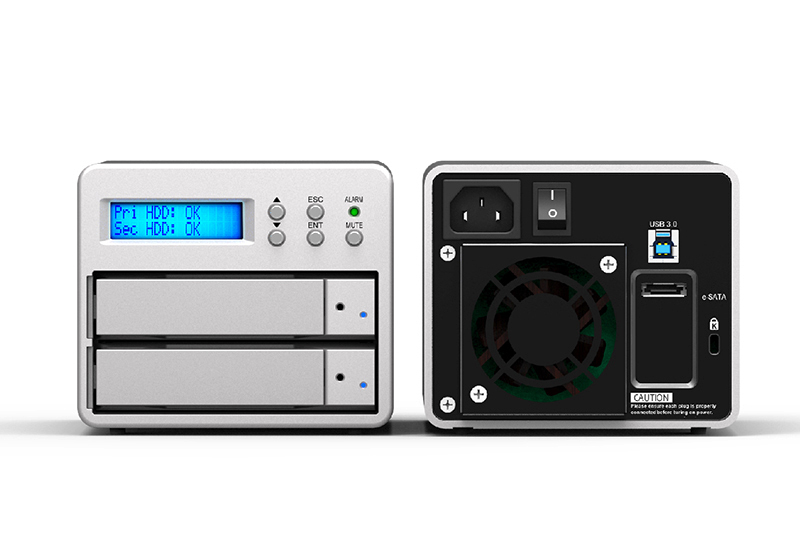 High performance, low cost, large capacity supported RAID system for high definition Video/Audio post-production workflows. Supports multiple HD Video/Audio streams, SR2 is designed specifically for professional content creation applications and features high-speed interfaces including USB3.0 (5G) and e-SATA (6G) ports. 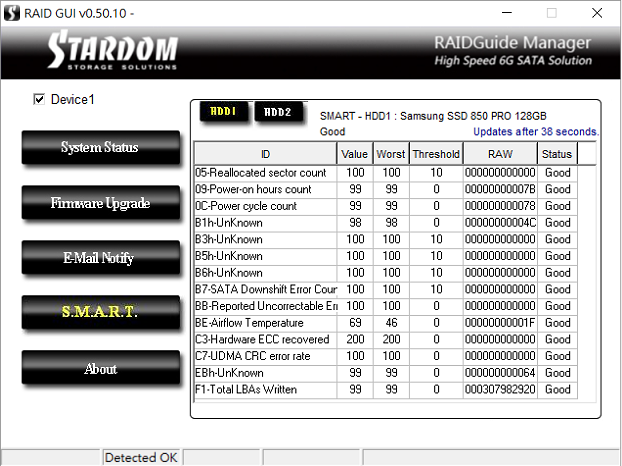 SR2-SB3+ storage RAID enclosure product now supports the S.M.A.R.T (Self Monitoring, Analysis, and the Reporting Technology) feature.You just have to open this RAIDGuide Manager Utility, you then can enjoy using it to know the HDD quality status, and you could even to replace any HDD which is with critical quality level in advance to help an even better protection for all your data. 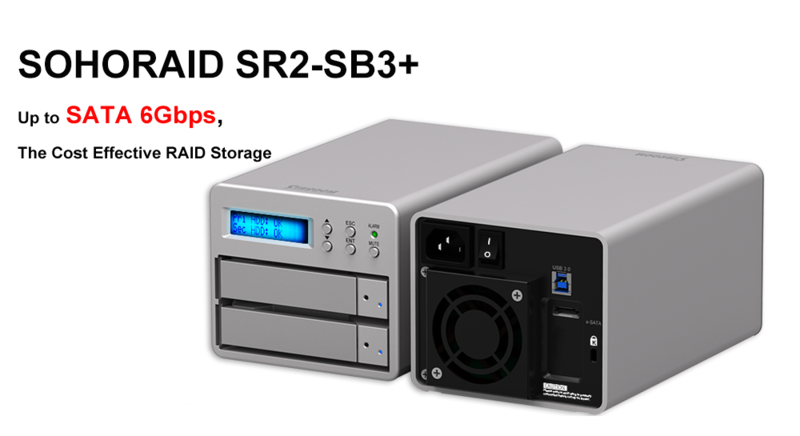 The SR2-SB3+ supports two 8TB or more SATA hard drives to store more, back up and protect space intensive project files. Configure, Monitor, No Software Needed. 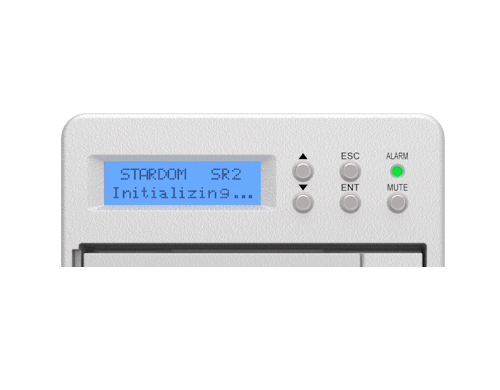 Configure, setup and monitor system status via front panel LCD without installing any software. SR2 is ready to use right out of the box to start protecting your data or enhance your digital content creation workflow. 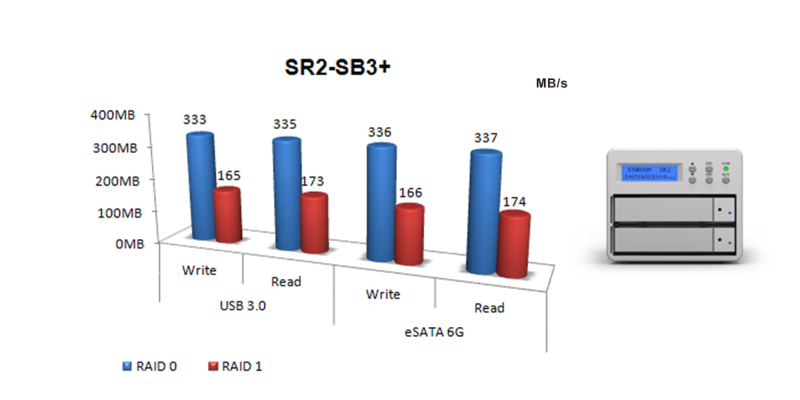 When connected to a SuperSpeed USB 3.0 port, SR2 lets you access and save files up to 10 times faster than USB 2.0. 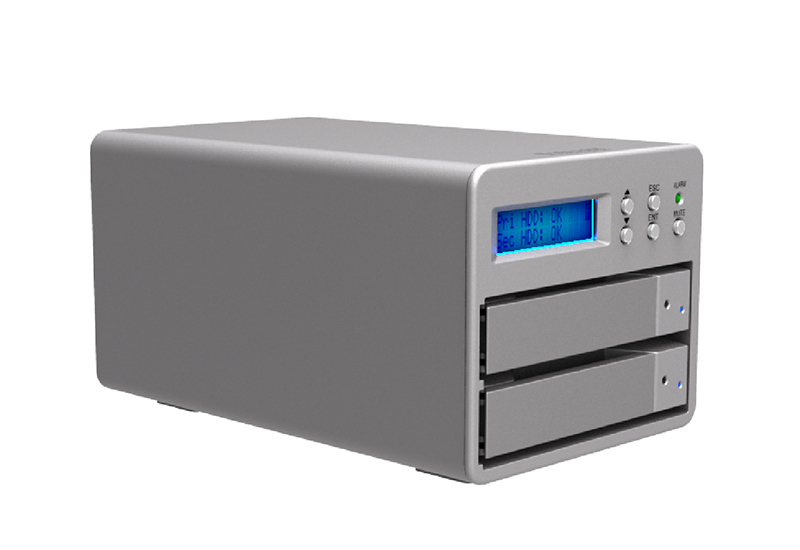 The SR2 is a quadruple drive storage enclosure system that supports the latest 3.5" and 2.5" SATA hard drives to deliver high- capacity data storage solutions. 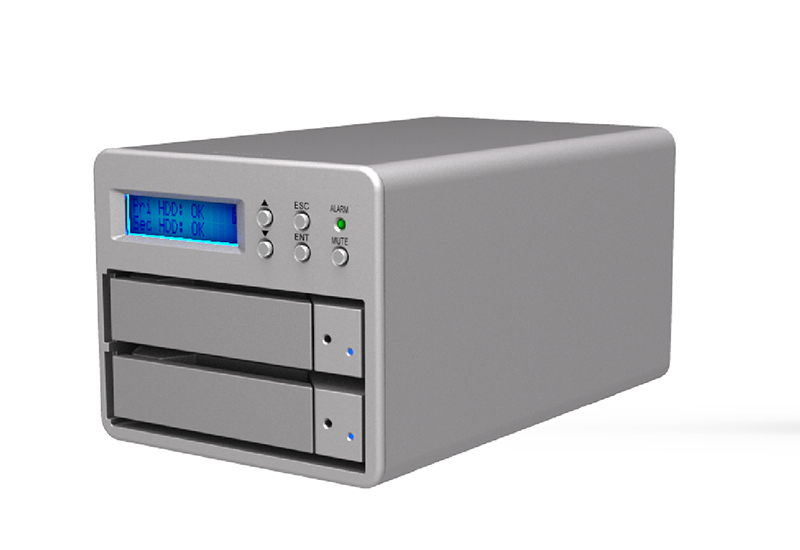 Featuring flawless structural design, optimized internal configuration, and a durable aluminum casing to protect your internal drives, the SR2 is perfect for creative and highly mobile professionals. 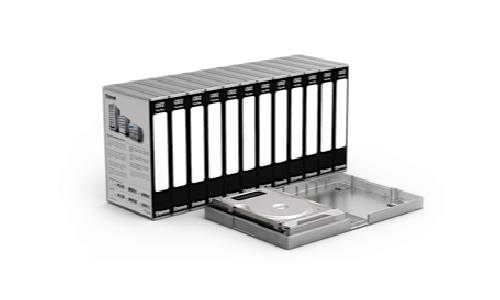 Optional hard-molded anti-static, plastic carrying case to protect your valuable work and archive your hard drives. The dive module case is in VHS size with a label area (label included). 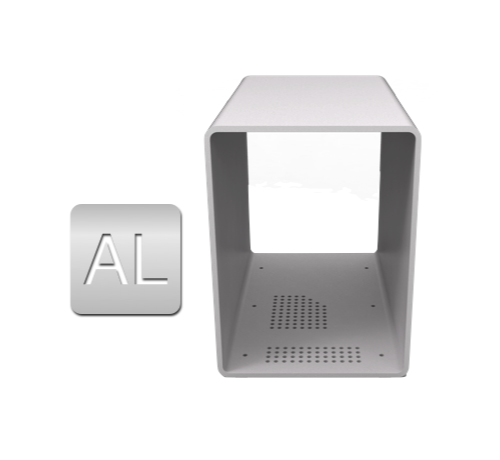 Ideal to protect against dust and impacts, perfect for shipping and archiving. Heat-dissipating, Sleek Aluminum Design Complements Your Mac. 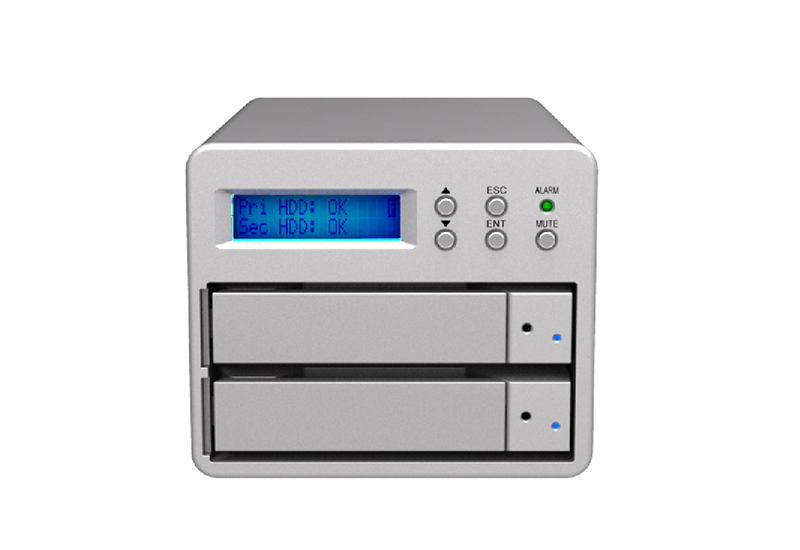 Encased in a thick aluminum enclosure and large size, low noise fan to keep hard drives healthy and dissipate heat from the RAID. SR2 uses an industry standard power cord and professional quality internal power supply for the most efficient and reliable power source possible. High Performance or High Reliability. SR2 is equipped with 2 sophisticated RAID levels. Auto Backup Your Important Photos. High reliable RAID 1 (Mirrored) offers ultimate protection beyond RAID level. All data are written simultaneously to both drives. If one drive should fail, your data is still accessible and the second drive will take over. Treasure your important photos as time and tide wait for no one. Do you remember all the wonderful family gatherings? Do you know that not even one single element captured in any picture can be replicated? All the photos gathered in the past are key assets throughout your life. It’s not a tough job to protect these digital photos. 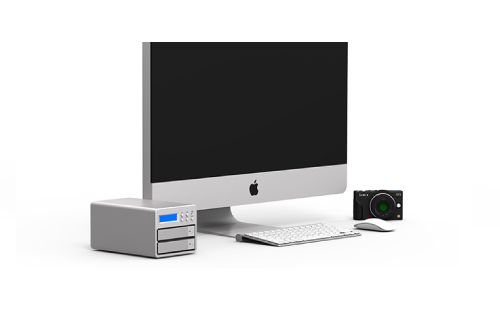 Whether you are just an iPhoto® user or a professional photographer running Aperture®, you can transfer your photo library into a SR2 device and let SR2 protect your beautiful time and memory. 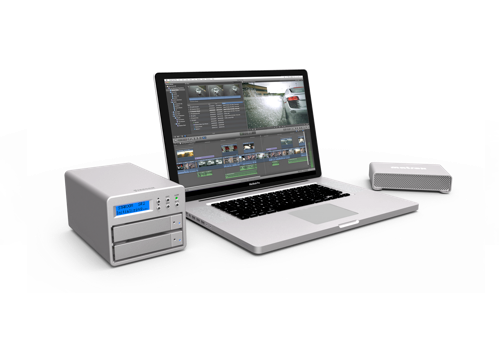 High performance RAID 0 ( Striped ) yields the speed you need for smooth video editing,rendering complex 3D objects or special effects in ultra high speed. Ideal for Apple ProRes HD offline editing on a MacBook Pro. Minimize the risk of losing your memory card or footage, use SR2 as your field fail-safe drive to transfer media from DSLR or HD Cam to SR2 to ensure your footages are protected and ready to be edit. To secure your project, edit direct from SR2 or transfer to ST2 for high bandwidth required CODEC. When project is finished, deliver the final product using i310. 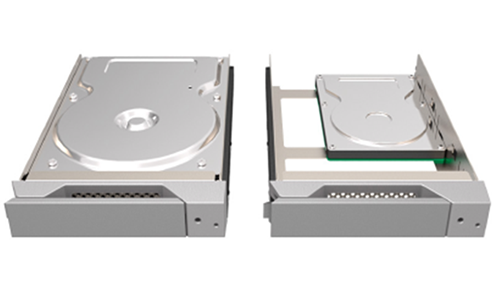 To archive and make an redundant offsite copy, pull out one or both drives from SR2 to our anti-static drive module box. Each drive contains complete project file and can be read and retrieve as a single volume. Another option is to copy to i302 and archive the drive using our drive module box.